Made from high grade carbon fiber twill weave. 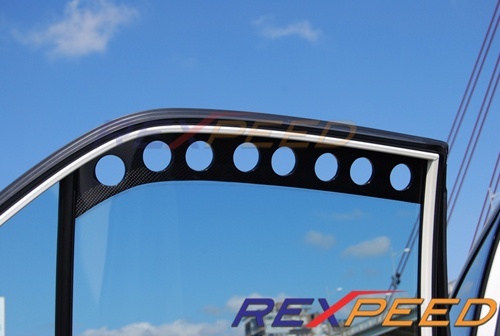 These window vents have carbon fiber wrapped on both sides it not only looks good from the outside but from the inside as well. Great mod for track days! Item ships directly from manufacturer. No express shipping available.